If you want to reduce your urge for chips, chocolate and other junk food cravings, you might want to lower the volume on your music. Researchers have discovered that the music you listen to can actually influence the kinds of foods you eat – and how well you stick to your diet! In particular, scientists from the University of South Florida report that music volume has a significant influence on people’s choices in eating. These researchers studies the buying habits of customers at a café in Sweden over a period of two days. They discovered that people selected healthier foods 10% more frequently when they were listening to quieter music. The researchers then duplicated the study in a supermarket – but this time the subjects were exposed to loud music. The subjects listening to louder music chose unhealthy foods more frequently. Next up, the researchers repeated the study in a controlled environment, examining the responses of several groups of students. This time each group listened to different kinds of music at different kinds music at different volumes. Once again, the people who listened to quieter music made healthier choices. Oh – and students who heard no music were also reported to choose unhealthier foods half the time – which pretty much matched the same results of those listening to loud music. Researchers believe the quiet tunes may have helped people to relax – which thereby helped folks to make better choices. As a recovered stress eater, I also wonder if maybe the quieter, calming music helped to lower stress levels – and thereby also helped people not to want to stress eat. Anywhichway, if you want to reduce your cravings for junk food, you might want to listen to some nice, quiet classical music. Do YOU hope to sloooow down the aging process and protect yourself against age-related diseases and dementia? 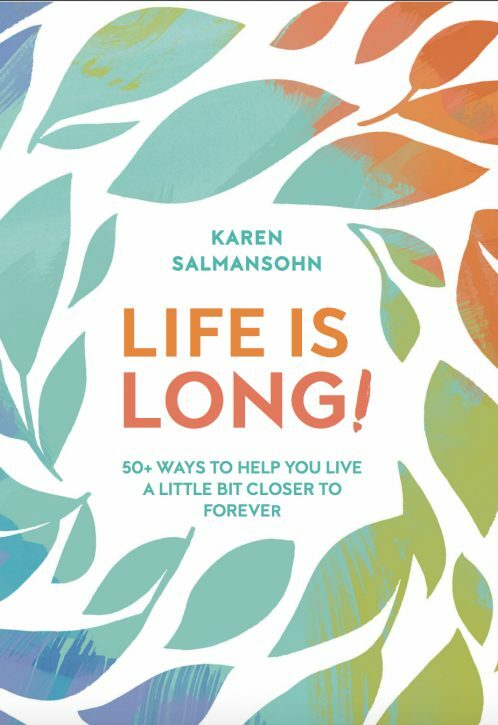 If so, check out my bestselling longevity book, “Life is Long: 50+ ways to live a little closer to forever”!